I started to make my home made dog treats for my dog Tucker. I created my own recipe using human grade ingredients. Word got around and I had people asking to buy my treats for their dogs. And that’s when The Wagging Tail Bakery began. 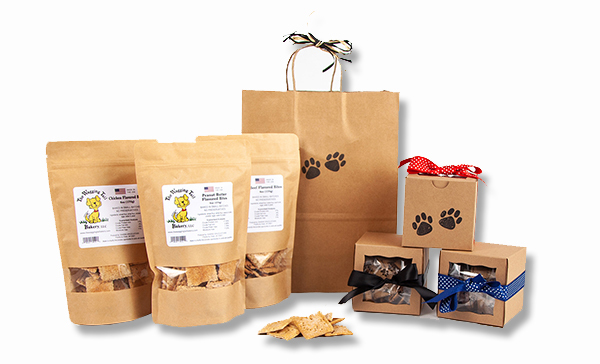 I realized that many pet owners would rather feed my treats to their pets because it is a healthier alternative to the store bought treats with added preservatives in them. I hope your best friend enjoys the treats as much as my best friends "Tucker" & "Babe" do.